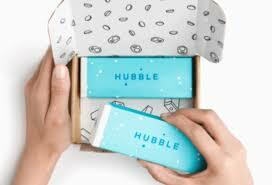 How would you rate your experience with Hubble Contacts ? Hubble Contacts was founded in 2016 by Jesse Horwitz & Ben Cogan. This pair of businessmen realized that they could beat even the lowest priced contacts on the market by offering an online subscription service. Within one year, the company had more than 25,000 subscribers and raked in $20 million in revenue. 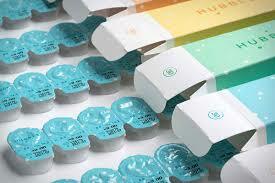 The company is unique in that it is the first direct-to-consumer contact lens brand. How can the company offer contacts for so much less than their competitors? According to Ben Cogan, by accepting lower profit margins and dealing directly with contact lens manufacturers. The company is currently located in New York, New York. Question 1: What is the phone number for Hubble Contacts? Answer 1: The phone number for Hubble Contacts is (614) 564-7633. Question 2: Who is the CEO of Hubble Contacts? Answer 2: The CEO of Hubble Contacts is Jesse Horwitz. Question 3: Who founded Hubble Contacts? Answer 3: Hubble Contacts was founded by Jesse Horwitz & Ben Cogan in 2016. Please cancel my subscription ASAP. Why do you not have any customer sec numbers listed?????????????? Please cancel my subscription ASAP as I ami ill with cancer & cannot use these lenses at this time. Also cannot afford them. Will contact you when I am well. Want to make sure Hubble Contacts sees your comment or complaint?